One day closer to Wellington. Easy day today. I woke early. I can’t help it these days. Try as I might, I just can’t seem to sleep in past 6:30am. I got up trying to be quiet and not disturb Sarah. Having packed last night all I needed to do was jump in the shower get dressed and get going, grabbing breakfast on the way. But Sarah woke after a well earned rest and make me a farewell coffee. Thanks matey. You took on an awesome challenge in the Tararua’s and came out on top. You should be chuffed at tackling one on NZ’s toughest ranges in the company of seasoned campaigners who thought it was hard. There are never goodbyes on the trail, only see you laters. So with a quick send off it was time to hit the road again. It was really quick walking today. From town I followed the trail onto a well formed and treaded walking/cycleway along the bank of the Waikanae River towards the coast. A few runners, cyclists and dog walkers were about. 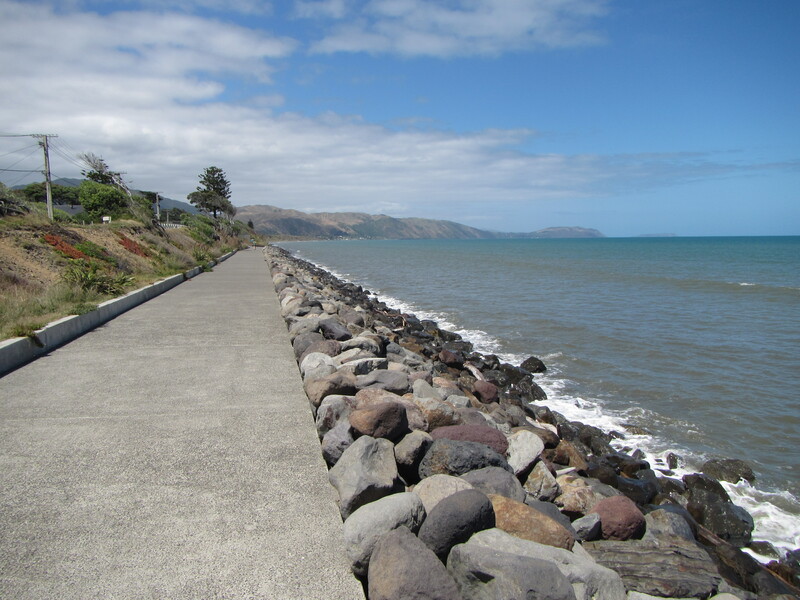 This lead out through an estuary walkway out towards Paraparaumu Beach. The last beach to walk until nearly reaching Bluff some 1400km away on trail. 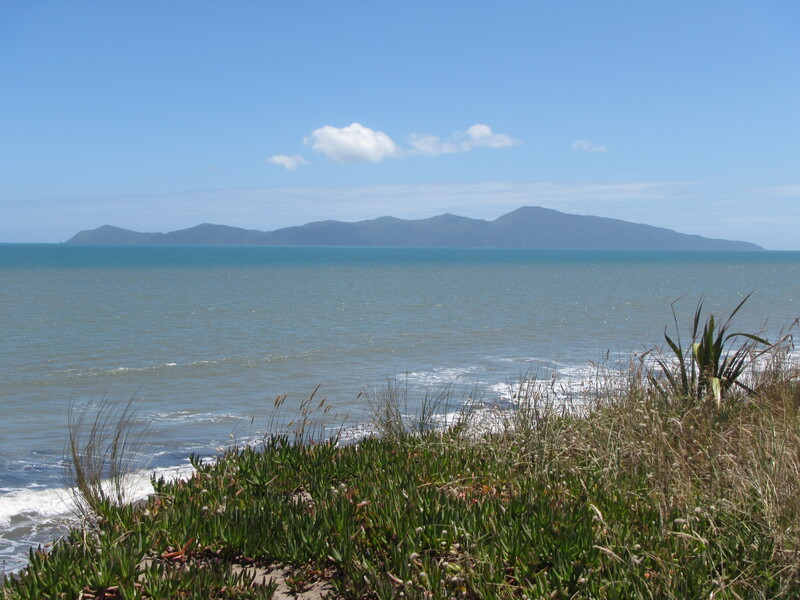 Kapiti Island loomed large on the horizon as I walked through the estuary, emerging onto the black sands of the beach. The tide was out and again made for easy, fast walking. Not much to tell of this section though. 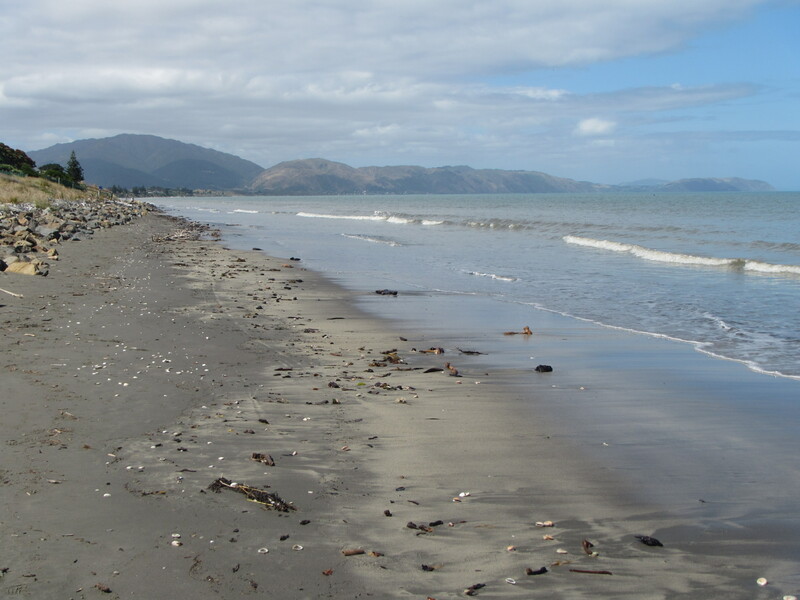 I was getting peckish by the time I reached Raumati Beach, 5km down the sand and headed inland to find a coffee shop and breakfast. The first one I walked into I met up with Emily & Simon and joined them in tucking into a tasty helping of bacon, eggs and latte. Parting ways I continued on. By this time the tide was coming in and walking along the beach proved difficult. Too much rock hoping on large boulders for my liking so I followed the nearby roads around. My aim for the day was reaching Paekakarik with a view to staying at the only backpackers in town. I had cell reception and phoned ahead, receiving only message bank. I left a message and my number and pressed on, walking through several coastal parks towards town. It was around 1:30pm when I reached town but getting to the backpackers it looked to closed up for Christmas. Decorations still hanging on the door, the grass long, no body was around. So what to do? Too early in the day to finish walking and I wasn’t going to back track to the holiday park. The problem was the next section between towns was mostly on roads, State Highway 1 for the most part and I wasn’t prepared to walk this. I found a coffee shop, ordered some lunch, a nice smoked chicken salad, and pulled out the ipad to assess my options. It seemed to be all road walking or paths next to major roads all the way to Porirua. 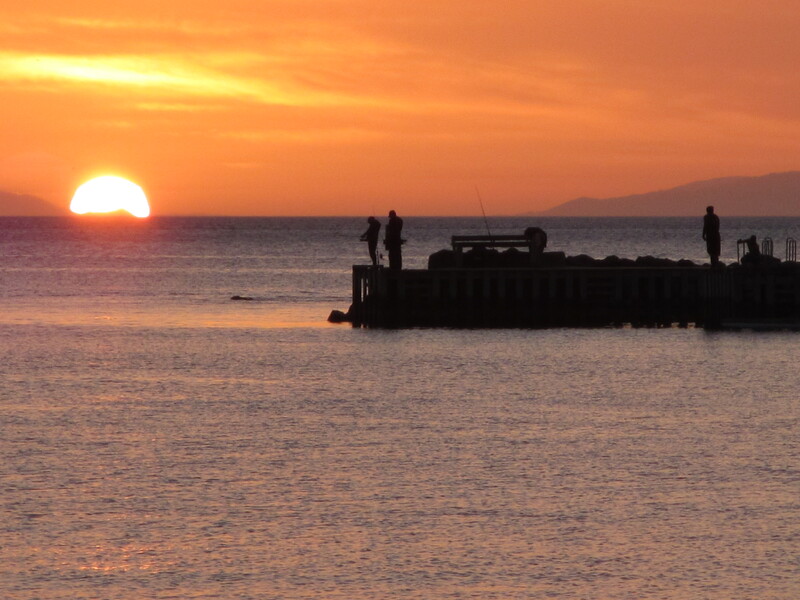 A train line ran between the towns and I knew there to be a nice backpackers at Plimmerton, the Moana Lodge. The train option looked good. Soon after ordering Emily & Simon arrived and we regrouped to enjoy more food. Trampers hey… always hungry. I’ve lost a lot of weight already on Te Ararua. I haven’t weighed myself so not sure how much but I think I need to buy new pants. A quick train ride later and I found myself at Plimmerton and booked in at Moana. 22 km by foot and 15km by train and I’m one more day closer to Wellington. Nothing for it but to enjoy my chip n chups while watching the setting sun nose dive over the calm waters of Karehane Bay. The simple pleasures…. lovely, just lovely. Hope meet others again along the way.